The following report has recently been published in regards to the danger associated with digital media exposure. As a parent responsibility is to look out for things which cause harm to our children. The negative effects of an unregulated access to digital usage is impeding if not limiting the potential of these children. The effects of neurological dependency and physical dependency is greater then cigarettes and significantly more harmfull. Parents should question their usage and the environment which they are creating. I will endeavour to list support structures fo helping parents to develop copying mechanisms. The following are recommended exercises for patients. They are divided into a system of design put forward by Meier involving the premises of reciprocal relationship of human tissue. This falls inline with the Osteopathic medical principal of the body working as a unit and that, every thing is connected. If I was going to advise any one doing a stretch I would advise the person to do it deliberately, do it slowly, think about the movement symmetry, and last but not least breath in and slowly out. At the end of the out breath relax and feel the improvement in range. A common mistake when people stretch is to do it quickly. When stretching you should hold a stretch for approximately 15 seconds. The tension which you feel when stretching a muscle should not be above 4, this is taking it that 0 is no tension and 10 is the target muscle at tearing point, do not go higher then a 4. Our children are meant to be the pictures of good health, they are growing and developing in what we hope is the correct way. It would be lovely indeed if they were delivered by the proverbial Stork, however in reality this is not the case. This is where Cranial Osteopathy can help babies and children alike. Cranial osteopathy for babies uses gentle head holds and movements to manipulate your baby’s body to encourage it to function correctly. The process helps relieve tension and stress in your baby’s head that may’ve been caused during labour. Two convenient locations, one is in the city centre in Upper Gardiner Street, Dublin 1 and a second clinic in Leopardstown Dublin 18. The process of child birth itself can be an incredible stressful time for both mother and baby alike. This can in some cases leave both with differing degrees of painful stress patterns. If your labour involved a C-section, the use of forceps or suction, then your baby may have suffered from various head and neck issues. ‘Every newborn baby ought to be checked for cranial strains, particularly if there was intervention in the delivery. These difficulties can be seen in the newborn while breast feeding, and additional in symptoms such as colic, irritability, excessive crying, and difficultly in sleeping. 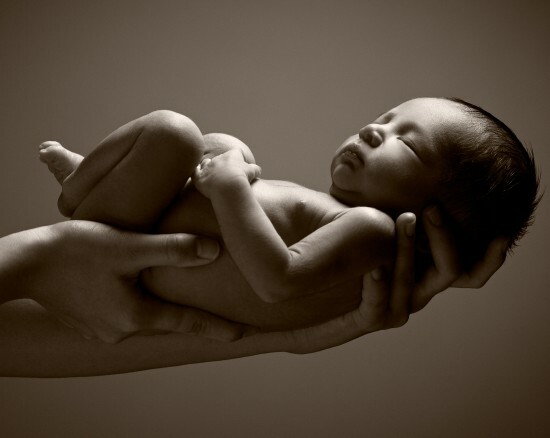 The use of Osteopathic techniques to release some of these stresses, as well as the use of Cranial Osteopathy have been greeted well, by mothers in many cases. The treatment is gentle and non invasive in application. For further information please feel free to call the Clinic. Both back pain and low back pain are a very common complaint that we see at the the clinic. And one which we have a lot of success treating. We have two convenient Clinic locations, one is in the city centre in 12 Upper Gardiner Street, Dublin 1 and the other back pain clinic is in Leopardstown Dublin 18. It is important to get the injury assessed by your Osteopath and treated. Or what we call referred pain; this is where it may travel through a nerve to a different location from the sight of injury such as seen in some cases of Sciatica. Some patients may have a simple spasm. This might have come on due to sedentary work practices, postural problems or sudden movements that trigger the surrounding muscular structures to protect the site of injury by going into spasm. It sometimes is a combination of all of those reasons. The net effect is, pain on different movements, with or without a reduction of overall range of movement. What do we do in the Osteopathic Life Clinic’s Back Pain Clinic is to lessen your pain and discomfort and help you move forward. We are a full service provider and will work with you in getting back to full health. Neck pain refers to any pain experienced in the area from the base of the skull to the shoulders and can spread to your upper back or arms. Treatment can vary depending on individual findings. This can include feelings of stiffness or tightness, as well as sharp pain and, in severe cases, can reduce the movement of the neck and head. Neck pain can also cause tension headaches. Most muscles in the body will relax completely when they are not being used, but the muscles in the neck are permanently tensed in order to support the head. Although most common in people over 50, neck pain can develop at any age as the result of excess strain on the neck. This could include slouching, sleeping in an awkward position or working at a computer for long periods of time without a break. Neck pain can also develop as the result of an accident. Perhaps the best known is whiplash; an injury sustained as a result of the head being thrown forward and back in a car accident. Neck pain is rarely the result of a serious injury and will often lessen after a few days. If you are suffering from neck pain, try to keep moving and maintain your normal routine as best you can. Neck pain effects so many of us, quite a number of these types of problems can be easily sorted out, there is help, and it is here at the clinic where we try and find the cause of your discomfort. With neck pain the type of symptoms you might feel could be any of the following, sharp pain, burning or throbbing pain, shooting or stabbing pains. These can be either intermittent or constant. Sometimes patients complain of headaches, which can come from a number of tissues around the the neck and the upper thoracic spine. It is our training as Osteopaths that give us the skill at working on the human body with our hands that give us the success at treating our patients. There are a number of reasons that can be the source of increased neck stiffness. Biomechanically it might be from changes in your posture, this can be rounding of your shoulders and forward leaning posture. The effect of which cannot only bring on Pain but also in some cases wedging of the vertebral bodies. Less chronic problems can be due to muscular tension, sleeping in a draft or uncomfortable position. Pain down the arm, tingling sensations, pins and needles, and numbness could be as a result of injury to the neck. This may be due to compression of the nerves, which exit the cervical spin (Neck). As mentioned above, it is important if you feel a high level of discomfort to have it properly assessed by an Osteopath so as to discount any major problems as well as getting the appropriate care in a timely fashion. So how can we help ? and what do we do in the Osteopathic Life Clinic by way of work, to lessen your pain and discomfort and help you move forward. Your practitioner will take a full case history; this is where he or she will ask a number of questions about the injury or area of concern. Following this will be an assessment, this will be to find out what structures are involved and if it is deemed acceptable to treat. In some cases it may be the case to refer you back to your GP or other professional. Your practitioner will explain their findings and with your permission treat accordingly. A treatment plan maybe discussed to get you back to full health if the problem is acute or chronic. Within the treatments you receive at the clinic there can be a number of different modalities used to improve your health and the injured area. This can include soft tissue techniques, as well as mobilisation and manipulation of joints within the body. Additionally Osteopathic Life Clinic offers Cranial Osteopathic techniques. Conditions associated locally with the shoulder pain include trauma by way of fracture, tendon rupture, dislocation, muscular tear. In overuse conditions such as bursitis, tendinitis, capsular sprain. 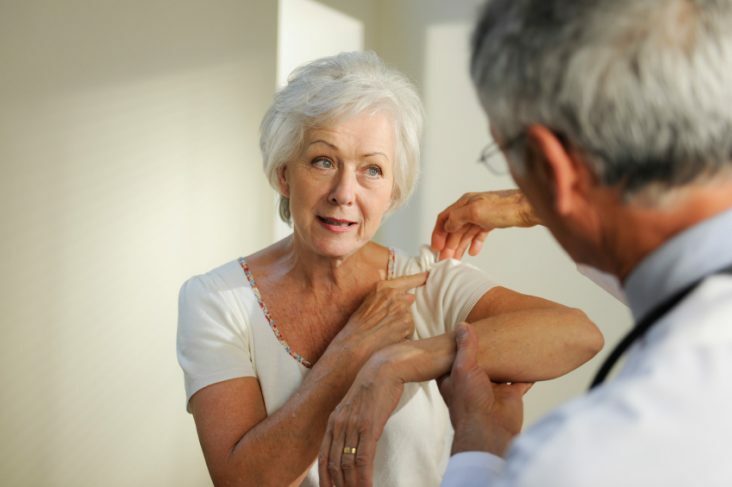 Signs and symptoms associated with shoulder pain include shooting, sharp, burning, throbbing, or stabbing pains that can be either intermittent or constant. You may also get referral (pain which travels further from source) pain to the arm or back, it may also move to the neck. You may also in some conditions feel numbness in your fingers, pins and needles, tingling or weakness in your arm. Some of the conditions include shoulder impingement syndrome this is where the tissues surrounding the course of a nerve or group of nerves can compress the same nerves leading to symptoms mentioned above. If you suffer from a limited or restriction of movement of the shoulder; this can be a symptom of a condition called frozen shoulder. This is where the capsule of the glen-humeral joint shrinks. It is important to see your Osteopathy to have this assessed so as to improve the range of movement of the shoulder through Osteopathic treatment techniques. The use of Osteopathic techniques to treat a number of conditions has been seen to be be clinically beneficial to patients suffering from some of the conditions mentioned above. Knee injuries are common especially in sport. 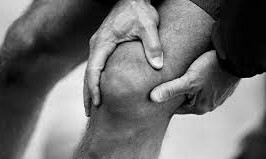 However you can also develop knee pain slowly or suddenly with or without identifiable reasons. There are a number of conditions that are common. Most common of these include patella tendinopathy, bursa inflammation or fat pad inflammation, Illio tibial band syndrome (ITBS) along with ligament damage as seen in anterior cruciate ligament (ACL) strains or tear’s and medial and lateral collateral ligament strain. The best way to find out is to call the clinic. You can work to taking appropriate steps to find out what tissues maybe involved through an assessment at the clinic as well as working on pain reduction techniques along with the development of a proper maintenance program to put your self, in the best position possible with relation to pain levels. Along with Osteopathic techniques including fascia release and muscular energy techniques and balanced ligamentous tension techniques, can have positive effect on knee pain levels. Actively stretching the muscles, which connect to the area or which pass over the joint can be beneficial and lessen symptoms. The use of hydrotherapy (contrasting water bathing between hot and cold water) amongst a number of other things can help to lessen pain. Also using topical creams that are rich in Omega 3 such as that found in cilliated fatty acids can be pain reliving. The ingestion of foodstuffs that are in them selves ante-inflammatory in their action will also help to decrease pain. If you look at a number of different ways to tackle the problem you will invariable improve your position. Foot Pain can come from a number of different points and origins, some quite a distance away from the foot, while others that you can pinpoint exactly there position on the foot which can give a good indication as to what is wrong. An Osteopathic assessment will help with finding the cause of your foot pain. The following cover some of the more common ones that we see and treat at the clinic. The symptoms that you can feel are on the sole of your foot. It can feel quite tender to touch. It usually comes on slowly over time, and can progressively increase in sensitivity. The causes of Planter fasciitis can be from a change in footwear, altered biomechanics, increase in weight, increased tension in posterior or the back muscles of the legs such as calf muscles or thigh muscles. Treatment from an Osteopathic perspective is firstly finding the cause; it is usually not difficult, as it has been successfully treated through Osteopathic practitioners for many years. Working directly on the area as well as surrounding tissues helps to elevate the discomfort. Using the information on the tissue conditions allows the Osteopath to direct if needed stretching and self-treatment to stop inflammation and maintain a healthy state. In some cases Orthotics have been seen to help with planter fasciitis by supporting the Biomechanics of the foot. The clinic also can talk to you about different foods that can lessen the inflammatory response, as well as highlight foods that increase the inflammatory response. Usually this will give symptoms of pain at the back of the heel, and will make it difficult to step off your fore foot. It can feel like a lump as small as a pigeon egg at the back of your heel just where the calf muscle joins the foot. It is usually more painful walking down hill; it can be quite sever if there has been a significant tear within the Achilles tendon itself. Most of the bother again is due to inflammation within the fascia, this can lead to disorder within the fiber’s and create what we call a lesion or adhesions within the structures, so having Osteopathic treatment will help to lessen the pain. One treatment approach is to work to re-organize the tissue fiber of the injury, as well as release the pressure on the area with Osteopathic treatment techniques. Our goal is two fold, to get pain relief reduced followed by rebalancing of the tissue structures. It is a measurable condition and as such treatment is speedy. For any further information please just call and I would be glad to answer any questions. The treatment is to assess weather or not there is a fracture as the symptoms can be similar. It is recommended to see your Osteopath or Doctor to have it assessed. What has been found is a decrease in proprioception (neurological amnesia) post injury, this along with in some cases; ligament damage can also take place with such injuries. This can leave the ankle in a susceptible state and can lead to further injuries of the same nature. To combat this it is advised to rehabilitate the ankle it should be noted that even with minor injuries involving lateral ankle strain it is worth rehabilitating the injury. For further information please call the clinic.